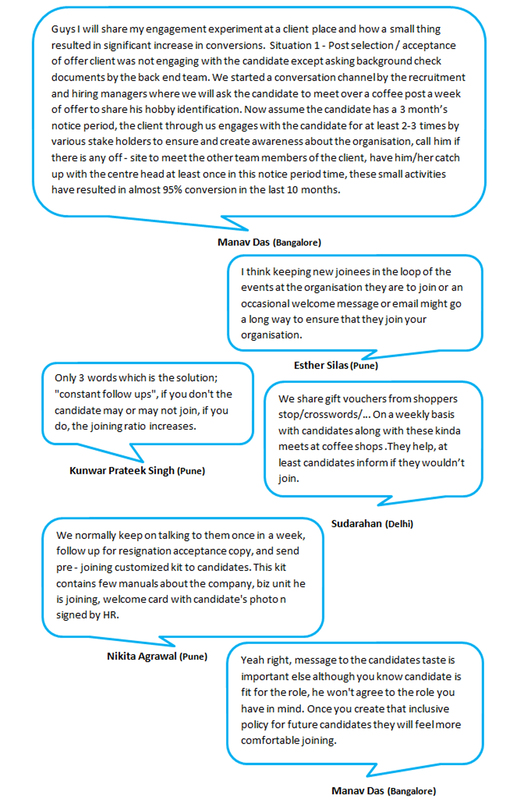 Hike Group Chat – How to better Personalise a Candidate’s Experience? 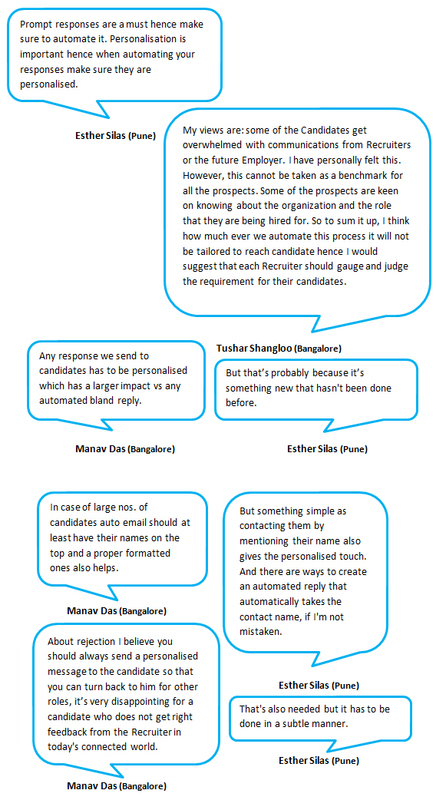 Here’s what was uncovered in the discussion… From this chat we can definitely conclude that Personalising a Candidate’s Experience is far more effective than bulk emailing potential Candidates. Moreover, Candidates are more likely to respond instantly if the opportunity interests them and more importantly if it is personalised. If you found this discussion insightful then the previous discussion on “Infant Mortality” might be of interest to you. To receive real time updates about the next discussion and other activities follow Sourcing Adda. In order to participate in these activities and catch up with the latest updates in the Talent Acquisition Industry that we all share a similar interest for visit Sourcing Adda. If you have any views to add then leave your comments and we’ll be happy to address them. Do employee Survey’s actually work? A popular trend that is being followed these days is that more and more corporates are going in for employee surveys as a way to gather information about employee satisfaction. The aim is to find out whether any changes or improvements are required in the work place and to prevent losing out on talented employees to other different organisations due to similar or other reasons, or so it seems. It is a common myth that most of these surveys end up gathering dust in a Manager’s office. 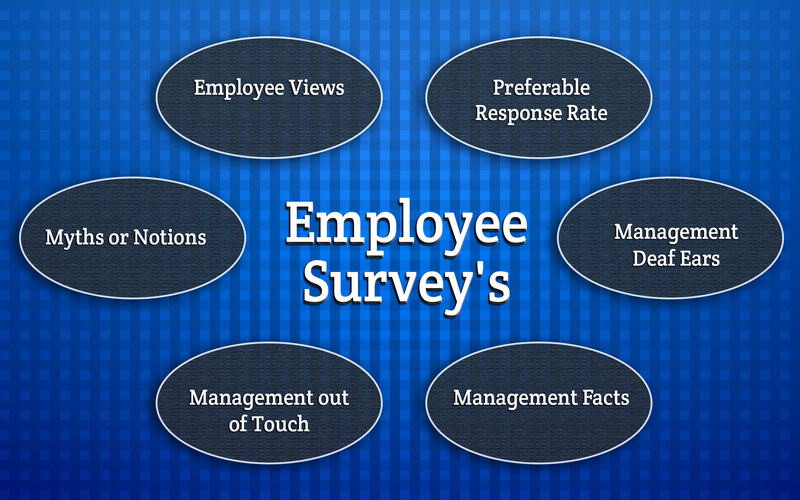 Well 1 in 4 employees think that managers look at these surveys, simply as a check box list. Another common notion that is circulated is that such surveys are pointless and 29% of employees thought them to be pointless and a waste of time. Here’s what the employee views were for the unfavourable participation. The response rate despite all the costs and efforts involved is found to be 30%. 20% of surveys that take 7 to 8 minutes to complete are abandoned or go unnoticed with no replies due to limited participation, on the part of the employees. A +/- 70% of response rate is preferable anything above that means the data may not be authentic. It might not have followed a prescribe set of rules and a figure below +/- 70% means that your research wasn’t deep enough. 20% of employees mentioned that their boss never bothered to follow up with them about the concerns raised. 4 out of 5 employees think that their manager will not take any action towards the views expressed about the company. Are all clear examples of the concerns raised going to deaf ears, need I say more. Most often than not the surveys almost always went unnoticed and was conducted just for formality sake. Here’s the results of similar surveys that were conducted 27% of managers never even reviewed the survey results at all and the 52% that took out time to review them; paid no heed to the concerns raised or took no action whatsoever. Moreover 48% of the senior management reported that the surveys were highly valuable which was contradictory to 45% of employees reporting that the surveys had little value. Another aspect that came to the fore with senior management was that they found the assessment to be very accurate. On the other hand 48% of employees felt that the survey had the exact opposite results. The contradiction in the stats is a clear indicator of how out of touch the Senior Management is. Well there you have it all the information you require to conduct effective employee surveys and that too in one place. How great is that? How about implementing them when creating employee surveys? So what are your tips or views about employee surveys? Do tell we’d really like to hear you’re prospective about Employee Surveys. Hike Group Chat – How do you handle “Infant Mortality” in your Organisations? At Sourcing Adda we constantly encourage our members to actively participate in the activities we conduct with the Hike Group Chat being one of the many activities we conduct. The Hike Group Chat is conducted every Wednesday where fellow Talent Acquisitionists get together to share their views and perspectives to stay updated with the current trends in the Industry we’re all passionate about. In view of this, one of our members Manav from the South zone suggested that we have a discussion on the trending topic “Infant Mortality”. Hence, we took his suggestion and decided to have a discussion on, “How do you handle ‘Infant mortality’ in your organisations, in reference to the below article http://m.economictimes.com/articleshow/49319093.cms. But before we find out what inputs we got let’s brief you about the topic i.e. Infant Mortality. It’s that crucial engagement time from the day the candidate accepts the offer till he on-boards the organisation. We would like to hear the perspectives of our fellow Talent Acquisitionists in order to enrich the learning experience. And here’s what we uncovered about how we can creatively gaze the pulse of the candidate/s Although this was a short discussion, I’m sure you’d agree with me when I say it was still insightful. At least I for one didn’t know about what measures other organisations were taking to curb “Infant Mortality.” It’s really nice to know that most organisations are investing in ensuring that the best candidates get on-board with the organisation. This only goes to show how the Talent Acquisition Industry is evolving and at what pace. Well let’s all make an effort to enrich the learning experience for us and our fellow Talent Acquisitionists as well by following @Sourcing Adda with active participation in the activities to come. There has been a long drawn out debate on whether Recruitment and Sourcing are different functions. We @SourcingAdda wanted to find out different perspectives about it and to confirm our views about the subject at hand. Is it necessary to have both the functions to be different functions? Do you suggest that both the functions should be done by one single person? The discussion was great with lots of perspectives from our fellow Talent Acquisitionist’s. Hope to have more people joining the Sourcing Adda family to express their thoughts, interact together by participating in these discussions and other activities to come. Follow @SourcingAdda to get real time updates to our upcoming activities. 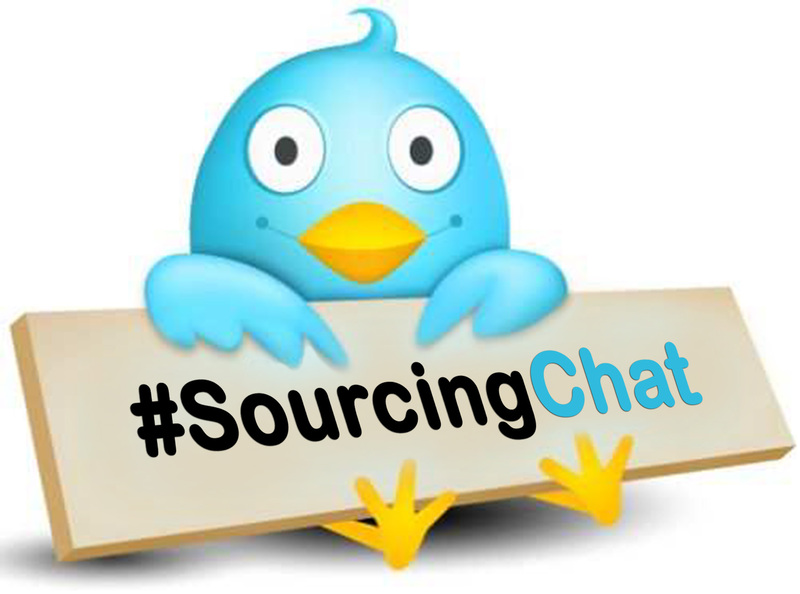 Top Tweets of the SourcingChat – How important is networking to close positions? It’s time for a recap on the #SourcingChat that was held by Sourcing Adda (@SourcingAdda) and I’m sure you too are interested; as I am, in finding out which are the Top Tweets on the popular topic, “How important is networking to close positions?”. @SourcingAdda #SourcingChat one thing that should b managed is network management depends on what kinda position v are targeting! Well there you have it the top tweets of the #SourcingChat that we all enjoyed and got to learn something new in the process. So let’s all aim to get more people to join and gain a variety of perspectives, cool tips, share & learn from experiences and have fun while we do that. If you’ve missed our previous #SourcingChat you can catch it by following @SourcingAdda and even get updates about our upcoming activities to join us.